On January 31st, Lionsgate's Vestron Collector's Series releases THE LAIR OF THE WHITE WORM and PARENTS on Blu-ray! JANUARY 31ST MARKS THE BLU-RAY DEBUTS OF "THE LAIR OF THE WHITE WORM" AND "PARENTS," COURTESY OF LIONSGATE'S VESTRON COLLECTOR'S SERIES! I've been a Scream Factory fan for a while now, and have just recently begun digging into Arrow Video's catalog. But Lionsgate's Vestron Blu-ray label hasn't quite caught on with yours truly just yet. It's not that I don't like the titles they are releasing (I made sure to grab CHOPPING MALL and the WAXWORK double feature as soon as they were available), but the cost of each release is well... a bit expensive. Still, they have been doing a bang-up job on all their cult Blu-ray releases, and I look forward to playing catch-up when I get some more expendable income! And now I'll have two more cult faves (that I haven't seen!) to add to my growing list of discs that I plan on adding to my collection. Synopsis: James D'Ampton (Hugh Grant) returns to his country castle in England. Legend has it that James' distant ancestor once slayed the local dragon- a monstrous white worm with a fondness for the sweet flesh of virgins. The young Lord dismisses the legend as folklore, until archaeology student, Angus Flint, unearths a massive reptilian skull and the ancient worship site of a pagan snake god on James' property. When James' virtuous girlfriend, Eve (Catherine Oxenburg), suddenly disappears, he and Angus set out to investigate the foreboding cavern said to be the worm's lair where a centuries-old mystery begins to uncoil. NEW! Audio commentary with Director Ken Russell! NEW! Audio commentary with Lisi Russell in conversation with Film Historian Matthew Melia. NEW! Cutting for Ken - An Interview with Editor Peter Davies. NEW! Mary, Mary - An interview with Actress Sammi Davis. 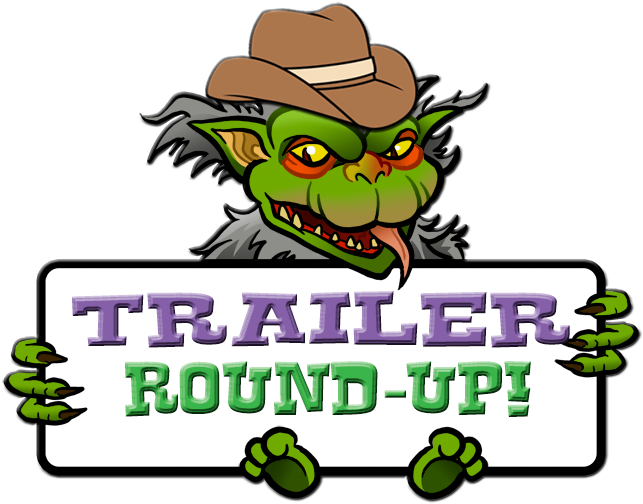 Trailers from Hell segment featuring Producer Dan Ireland. 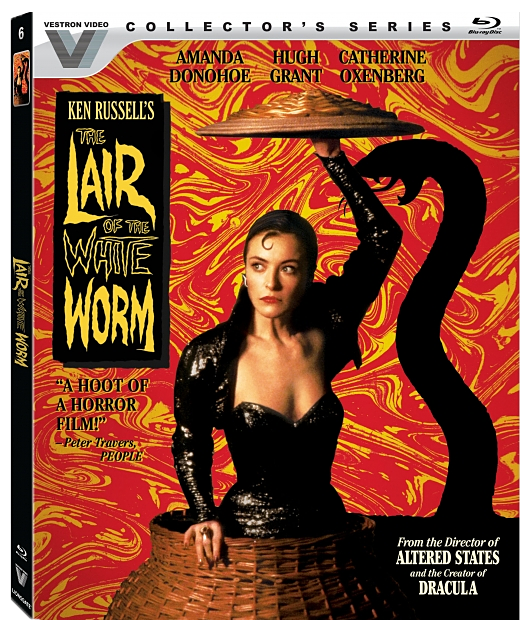 THE LAIR OF THE WHITE WORM will be available wherever Blu-rays are sold on Tuesday, January 31st! You can order a copy now at AMAZON, BULLMOOSE, or DIABOLIK DVD! Synopsis: Meet the Laemles, and taste the terror in this black comedy, Dad's (Randy Quaid) got a great job, Mom (Mary Beth Hurt) has all the modern conveniences a happy homemaker could ask for, and ten-year-old Michael (Brian Madorsky) has neat new friends, and two parents that kill him with kindness. They're the all-American family of 1954... with one small exception. NEW! Audio commentary with Director Bob Balaban and Producer Bonnie Palef! NEW! Isolated score selections & audio interview with Composer Jonathan Elias. NEW! Leftovers To Be - An interview with Screenwriter Christopher Hawthorne. NEW! Mother’s Day - An interview with Actress Mary Beth Hurt. NEW! Inside Out - An interview with Director of Photography Robin Vidgeon. NEW! Vintage Tastes - An interview with Decorative Consultant Yolando Cuomo. PARENTS also comes out on January 31st and can be ordered right now at AMAZON, BULLMOOSE, or DIABOLIK DVD! STOCK YOUR VAULT: New DVDs & Blu-rays for 01/24/2017! Greetings Vault Dwellers! January is just about over, and it seems like mass hysteria has gripped America! 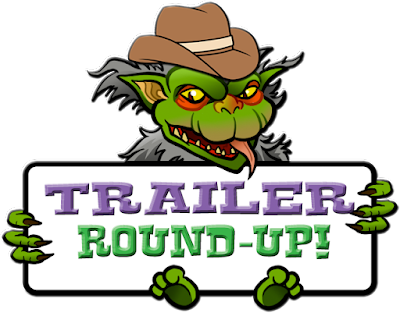 But instead of focusing on the political flamewars raging across social media, let's take a much-needed break and look at this week's slate of genre releases, shall we? 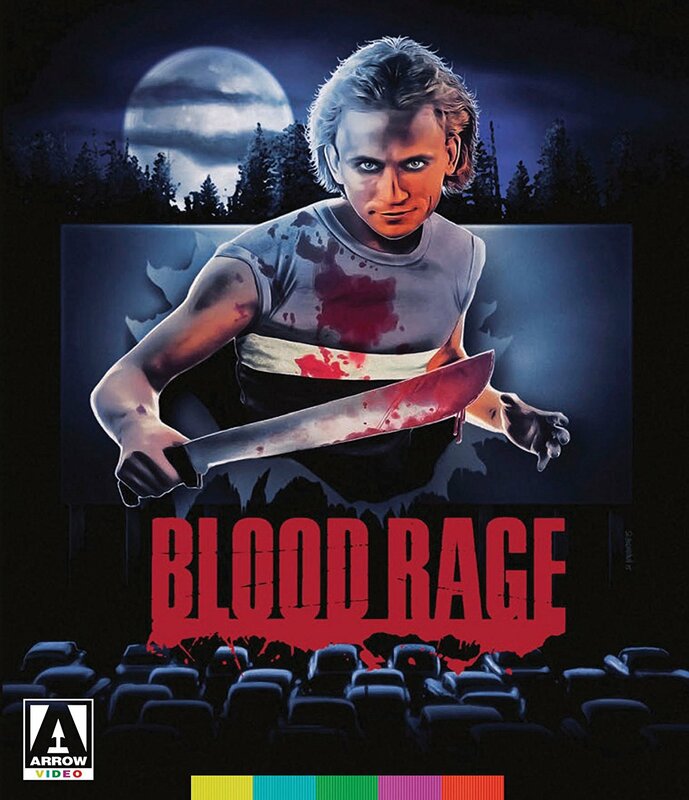 Arrow Video conquers this week with their 2-Disc Special Editions of BLOOD RAGE and Takashi Miike's BLACK SOCIETY TRILOGY, Lionsgate gives THE MAN WHO FELL TO EARTH a deluxe 3-disc Limited Collector's Edition, and The Warner Archive Collection gives WAIT UNTIL DARK its Blu-ray debut! There are a few other titles of note (SHERLOCK: SERIES FOUR, THE MONSTER, and season one of ATTACK ON TITAN), so scroll on down to see the full roster of this week's new titles! Contains: The Dead Zone (Special Collector's Edition), Pet Sematary (Special Collector's Edition), Silver Bullet, and Graveyard Shift. 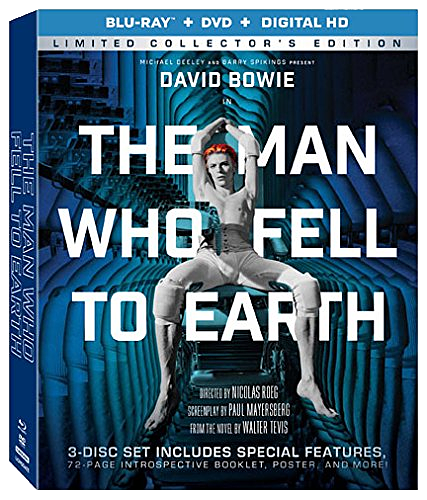 On January 24th, David Bowie Falls to Earth and into your Blu-ray collection! ON JANUARY 24TH, THE DELUXE LIMITED COLLECTOR'S EDITION OF "THE MAN WHO FELL TO EARTH" LANDS IN STORES! Just over a year ago, David Bowie passed away, shocking fans across the globe. But now he has returned (in a manner of speaking) in this all new 3-disc set of THE MAN WHO FELL TO EARTH! Admittedly, I've haven't watched this movie (yet), but if you're a fan of the film, or just Bowie himself, I think you'll definitely want to pick this up! Synopsis: David Bowie makes his unforgettable feature film debut as a visitor from a dying planet who becomes a reclusive multimillionaire, only to lose himself in an earthbound abyss of decadence, self-destruction and alienation. Candy Clark, Rip Torn and Buck Henry co-star in this enigmatic masterpiece directed by Nicolas Roeg (DON'T LOOK NOW, PERFORMANCE) that remains an extraordinary combination of sci-fi epic and mind-blowing allegory, as well as one of the most provocative motion picture events of our time. Thomas Jerome Newton (David Bowie) is a humanoid alien who comes to Earth from a distant planet on a mission to take water back to his home planet in the midst of a catastrophic drought. Using the advanced technology of his home planet to patent many inventions on Earth, Newton, aided by leading patent attorney Oliver Farnsworth (BUCK HENRY, THE GRADUATE, GET SMART), acquires incredible wealth as the head of a technology-based conglomerate that he intends to use to finance the construction of a space vehicle to ship water back to his planet. Newton embarks on a relationship with hotel maid Mary-Lou (Candy Clark, AMERICAN GRAFFITI, ZODIAC) and makes progress with the construction of his vehicle, but soon finds his true identity at risk via his roguish colleague and confidant Dr. Nathan Bryce (Rip Torn, MEN IN BLACK, MARIE ANTOINETTE) who threatens not only his relationship with Mary-Lou, but his freedom and chances of making it home to the family he yearns for. 4K Restoration made from the original camera negative, approved by Cinematographer Anthony Richmond. NEW! Interview with Costume Designer May Routh Featuring Original Costume Sketches. NEW! Interview with Stills Photographer David James Featuring Behind-the-Scenes Stills. NEW! Interview with fan Sam Taylor-Johnson. NEW! Interview with Producer Michael Deeley. NEW! "The Lost Soundtracks" Featurette, Featuring Interviews with Paul Buckmaster and Author Chris Campion. David Bowie Interview – French TV 1977. Interview with Writer Paul Mayersberg. Interview with Cinematographer Tony Richmond. Interview with Director Nicolas Roeg. This 3-disc set is available Tuesday, January 24th, and apparently has even more surprises in store for those who buy it. (At the very least, a poster and/or collectible art of some nature is included!) You can order it now from AMAZON, BULLMOOSE, or DIABOLIK DVD! Duel of the Phantasms: A comparison between the two upcoming Phantasm Boxed Sets! WELL GO USA AND ARROW VIDEO DUKE IT OUT WITH THEIR OWN UNIQUE PHANTASM BLU-RAY SETS IN APRIL 2017! 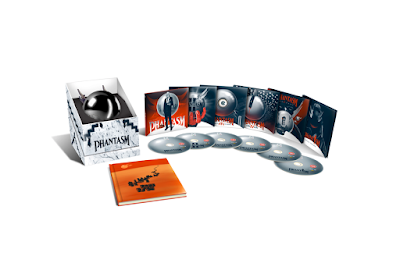 First off, I never thought I'd see a complete PHANTASM boxed set in any format! And now I'm talking about two distinctly different ones from two separate companies! How crazy is that? But which one should Phans purchase? 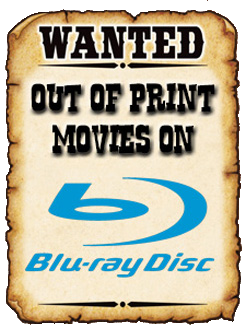 Well, that's entirely up to your price-range, and if you own a region free Blu-ray player. Well Go USA's set has the dual benefits of being Region A locked, and cheaper than the Arrow set. However, presentation is everything, and the Arrow release blows Well Go USA's set out of the water in that respect. But I'm totally jumping the shark here, so let's stop for a moment and take a closer look at both releases, and see if we can come to a final conclusion. Both sets (I'm assuming) have utilized the same exact masters, so this important decision (for Phans) is going to come down to the special features and the packaging. And that may even change as both companies have said that more extras will be announced as we get closer to their respective release dates. For now though, let's do a quick comparison utilizing the information we have so far. Synopsis: At a funeral, Mike (A. Michael Baldwin), watches as a tall mortician clad in black (Angus Scrimm) tosses the unburied coffin into a waiting hearse as if it were nothing. Seeking the truth behind this unusual sight, Mike breaks into the mortuary, where he comes face-to-face with the sinister Tall Man. 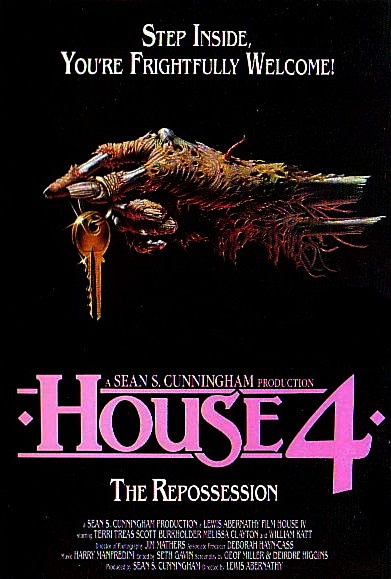 After barely managing to escape with his life, Mike enlists the help of his brother, Jody (Bill Thornbury), and their friend Reggie (Reggie Bannister). Together they set out to uncover the secrets of the Tall Man and those who dwell in his hellish world. Audio - DTS-HD Master Audio 5.1, Dolby Digital 2.0, and Dolby Digital Mono. Audio Commentary with Writer/Director Don Coscarelli and Stars Michael Baldwin, Angus Scrimm, and Bill Thornbury. NEW! Audio commentary with writer/director Don Coscarelli, co-producer Paul Pepperman and visual consultant Roberto Quezada! Interviews with Don Coscarelli and Angus Scrimm. Phantasm: Actors Having a Ball - Cast interviews. Phantasm Behind-the-Scenes Home Movies with commentary by Don Coscarelli and Reggie Bannister. Archival audio commentary with director/writer Don Coscarelli and actors A. Michael Baldwin, Bill Thornbury, and Angus Scrimm. Reflections of Fear: Realising Phantasm – A brand new pheaturette looking back at the making of PHANTASM, including new interviews with cast and crew! Behind-the-Scenes footage with commentary by Don Coscarelli and Reggie Bannister. 1979 TV interview with Don Coscarelli and Angus Scrimm. Hmmm.... tough call here Vault Dwellers, because both discs are similar. Well Go USA's release boasts an intro by Angus Scrimm, a Fangoria TV Spot, and a "Graveyard Carz" featurette. However, Arrow Video tops that with an all new featurette about the making of the original PHANTASM, plus a groovy audience reaction track! I think I have to give Arrow the edge on this one gang! Synopsis: Released after seven years in a mental hospital, Mike convinces his old pal Reggie to join forces with him to hunt down and destroy the Tall Man once and for all. Mike’s visions lead the two to a quiet little town where a horde of flying killer balls aim to slice and dice their gruesome way through everyone. 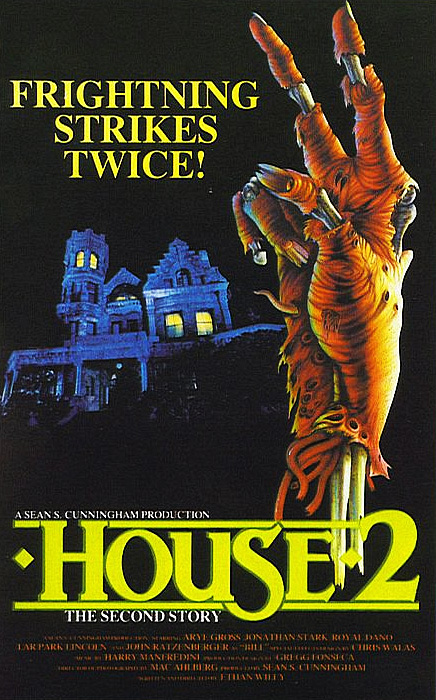 Exploding with special effects, unparalleled thrills, horror and suspense, PHANTASM II climaxes with a blood-curdling conclusion that you have to see to believe. Audio Commentary with Don Coscarelli, actors Angus Scrimm, and Reggie Banister. The Ball is Back – Documentary on the making of Phantasm II. The Gory Days – An interview with Special Make-up Effects Artist Greg Nicotero. Audio commentary with director/writer Don Coscarelli and actors Angus Scrimm, and Reggie Bannister. Reflections of Fear: Realising Phantasm II – A brand new pheaturette looking back at the making of Phantasm II, including new interviews with cast and crew! Though Arrow's PHANTASM II disc has a new featurette, and a few cool archival extras, it is sadly lacking the deleted and workprint scenes, and documentary that are included on Well Go USA's release. Point goes to Well Go USA. Synopsis: The mutant dwarf creatures are attacking, the silver spheres are flying, and the Tall Man is back with a vengeance! Fifteen years after the original horror classic, writer/producer/director Don Coscarelli reunites brothers Mike (A. Michael Baldwin) and Jody (Bill Thornbury) to help their friend Reggie (Reggie Bannister) destroy the Tall Man (Angus Scrimm) once and for all. Audio Commentary with Stars A. Michael Baldwin and Angus Scrimm. NEW! 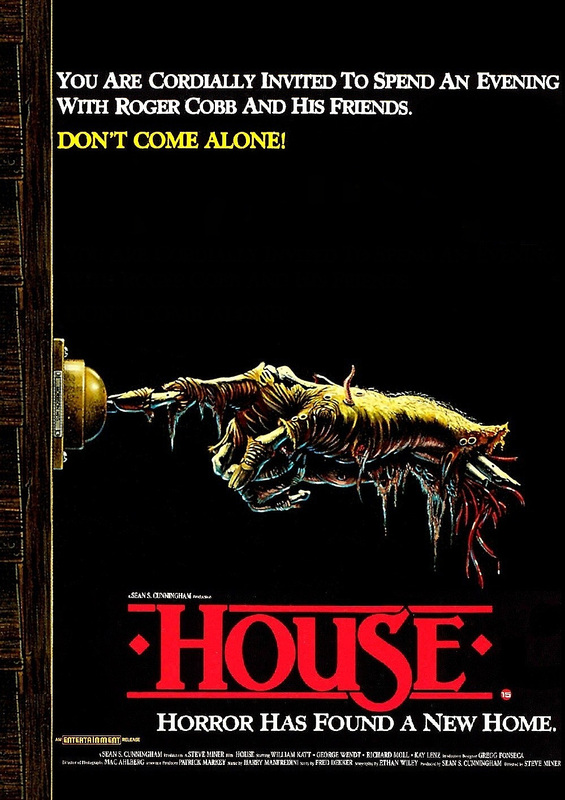 Audio Commentary with writer/director Don Coscarelli and editor Norman Buckley! Audio commentary with actors A. Michael Baldwin and Angus Scrimm. Reflections of Fear: Realising Phantasm III – A brand new pheaturette looking back at the making of Phantasm III, including new interviews with cast and crew. Another tough call here fellow phans. Both releases have similar special features, so I'm leaning towards a tie on this disc, if only because I don't know how in-depth Well Go USA's behind the scenes featurette is. Synopsis: 13 years after the original nightmare began, Mike must cross dark dimensions of time and space to discover his origins and those of his nemesis, the evil Tall Man. With only his loyal friend Reggie at his side, and the spirit of his dead brother to guide him, Mike must finally confront this malevolent embodiment of death. Prepare to be scared witless as the fine line between the living and the dead snaps with a vengeance! 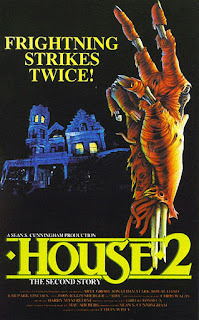 Audio Commentary with Director Don Coscarelli and Actors Reggie Bannister and Angus Scrimm. Phantasm sequels Conceptual Art Gallery by Justin Zaharczuk. Audio commentary with director/writer Don Coscarelli and actors Angus Scrimm and Reggie Bannister. Reflections of Fear: Realising Phantasm IV – A brand new pheaturette looking back at the making of Phantasm IV, including new interviews with cast and crew. Yet another close match-up here gang that I will, for now, declare as a tie because I just don't know how Well Go USA's behind the scenes featurette stacks up against Arrow Video's. Synopsis: After battling with the Tall Man in Phantasm: Oblivion, a battered Reggie wanders through the desert in search of his missing friend, Mike. After recovering his 1971 Hemi ‘Cuda, Reggie is targeted by two of the Tall Man’s Sentinel Spheres and destroys them. He awakens suddenly to find himself sitting in a wheelchair pushed by none other than the elusive Mike! Although overjoyed by their reunion, Reggie is in this alternate dimension an aged and weary old patient in a psychiatric ward. And only he remembers their battled and bloodied past with the Tall Man. Reggie must travel between dimensions and discern what is reality in order to confront the mysteries at the heart of a decades-long struggle against evil. He is met with new and familiar faces along the way, and an epic showdown on the Tall Man’s home world awaits! 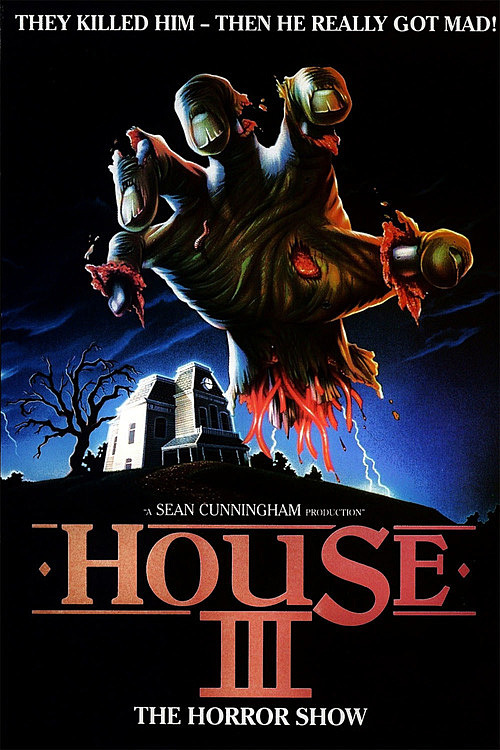 Audio Commentary with co-writer/director David Hartman and co-writer/producer Don Coscarelli. NEW! Interview with actor A. Michael Baldwin. NEW! Interview with actress Kat Lester. NEW! Interview with actor Stephan Jutras. NEW! Behind the Scenes Promo with Angus Scrimm Tribute! 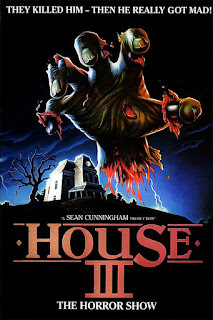 Audio commentary with director David Hartman and writer/producer Don Coscarelli. Reflections of Fear: Realising Phantasm: Ravager – A brand new pheaturette looking at the making of Ravager, including new interviews with cast and crew! 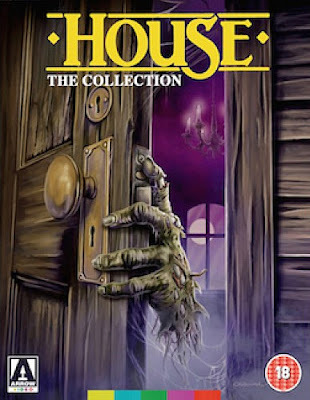 Deleted scenes with optional audio commentary by David Hartman and Don Coscarelli. Phantasm and You - A lighthearted recap of the Phantasm franchise directed by David Hartman. Up to this point, it has been pretty even between both PHANTASM boxed sets. But in my opinion, Arrow Video just pulled into the lead because they offer up a bit more here than Well Go USA. Arrow boasts yet another "audience reaction" audio track, a new making-of featurette, deleted scenes with optional commentary, and the neat little "throwaway" Phantasm and You series recap. But Well Go USA can pull off a tie (or maybe even a win) if their sixth Blu-ray disc delivers phans more than Arrow's! Let's take a look! Phantasmagoria: A documentary featuring interviews with cast and crew. Phantasmagorical Mystery Tour with your host, Reggie Bannister. Phantasmagoria - A pheature-length documentary covering the original Phantasm through to Phantasm IV: Oblivion, including interviews with key cast and crew members. Phantasmagorical Tour - Actor Reggie Bannister hosts a tour of some of the key filming locations from Phantasm. When it comes to packaging, I actually prefer Well Go USA's set, which seems to be a large box that contains each film in its own Blu-ray amaray case, complete with REVERSIBLE COVER ART! The set will also contain the 120-page PHANTASM COMPENDIUM, as well as a reversible 21 x 27 poster! So to sum everything up: Both sets seem to feature the same exact transfers, and basically the same special features (though it seems that Well Go USA has really beefed up their discs since the first announcement). The only huge difference is that Arrow put more effort into their packaging - the sphere and collectible book are a nice touch! It's really close, but in my opinion, Well Go USA is the winner. But honestly, this is all personal preference, and I think everyone's final decision will boil down to pricing and availability. While Arrow's set is impressive, it is currently in the ballpark of $93.00 U.S. dollars (and that's before international shipping), as opposed to the $80.00 price tag for Well Go USA's release. Also, Arrow's PHANTASM COLLECTION is Region B locked, meaning you'll have to purchase a region free Blu-ray player to enjoy it. Ultimately, what set you choose is up to you Vault Dwellers, but I sincerely hope that I've helped your decision making process a little bit easier by digging into the details of both PHANTASM sets. 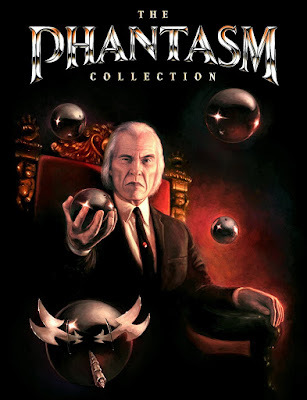 Well Go USA's PHANTASM COLLECTION is due out in stores on April 11th, wherever Blu-rays are sold! You can order it now from AMAZON or DIABOLIK DVD! Arrow Video's LIMITED EDITION PHANTASM COLLECTION is due out on April 24th, and can be purchased directly from ARROW VIDEO, or from ZAVVI.COM! I'm a devout fan of Scream Factory, and am still a huge supporter of this ever-growing genre label. Last year they released definitive editions of THE THING, RETURN OF THE LIVING DEAD, and various other genre titles, debuted a new animated film (HOWARD LOVECRAFT AND THE FROZEN KINGDOM, which is now getting a sequel), and released their first original feature film (FENDER BENDER). Yes, 2016 was a stellar year for Scream Factory, and 2017 is looking pretty damned fabulous as well! They've got a lot of amazing titles scheduled this year, and once again, I am going to keep tabs on them all! So be sure to bookmark this post Vault Dwellers, because between now and December of this year, I'll be updating the following list with every new Scream Factory title that is announced! Note: This list is a work in progress, and will also contain some titles from Shout! Factory and Shout Select that meet certain criteria. STOCK YOUR VAULT: New DVDs & Blu-rays for 01/17/2017! Sorry for being a few days late Vault Dwellers, but I got sidetracked with working on my upcoming review for Scream Factory's fantastic (and downright definitive) Blu-ray of John Carpenter's THE THING. This week doesn't boast any major heavy hitters, but there are a few new titles worth mentioning. For those of you looking for modern thrills, QUIJA: ORIGIN OF EVIL and TRAIN TO BUSAN are now out on DVD and Blu-ray. Raro Video reminds us that they are still alive with a new Blu-ray release of REVENGE OF THE BLOOD BEAST, Scream Factory finishes off your high-def SLUMBER PARTY MASSACRE collection with the release of their new double feature of parts II and III, and the Corman-produced DEATH RACE 2050 makes its debut on DVD and Blu-ray! Also, with RESIDENT EVIL: THE FINAL CHAPTER hitting theaters soon, all of the previous films have been re-released to Blu-ray! There are plenty of other genre titles that might interest you, so scroll down to the see the entire list of this week's new releases! Roger Corman Takes Another Lap With DEATH RACE 2050! I get an absolute kick out of the original DEATH RACE 2000 (which I just watched in 35mm at Hudson Horror Show this past December)! While I don't think this reboot will hold a candle to the original classic, I feel pretty confident that it'll be worth watching. What can I say? I'm a Corman fan! Synopsis: Legendary filmmaking icon, Roger Corman, is back with his most outrageous film yet in this sensational, action-packed and darkly humorous reboot of the original DEATH RACE 2000! It's the year 2050 and America is controlled by an all-powerful corporate government ruled by The Chairman (Malcolm McDowell). The masses have been brainwashed with violent virtual-reality entertainment. The event of the year is the "Death Race," in which a motley crew of violent drivers compete in a cross-country road race, scoring points for shamelessly running people over and driving each other off the road. The reigning champion and fan favorite, Frankenstein (Manu Bennett), who's half-man half-machine, wants to take the crown, but his rebel spy co-pilot threatens his legacy. The Making of Roger Corman’s Death Race 2050 - Featuring interviews with cast, crew, and the legendary Roger Corman himself! The Look of 2050 - Short featurette about the film's costumes and shooting locations. Cars! Cars! Cars! - A look at the "Death Race" contestants' vehicles. Cast Car Tours - A more in-depth look at the cars and the actors who drive them. Corman's DEATH RACE 2050 will be available wherever discs are sold on Tuesday, January 17th! You can order a copy now from AMAZON or BULLMOOSE! Wait, what's that? You haven't seen the original 1975 classic?! Remedy that ASAP! Kansas Bowling's B.C. 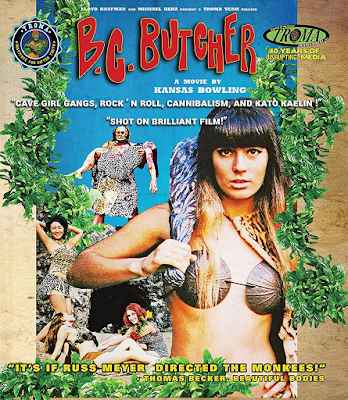 BUTCHER makes its Blu-ray debut from Troma (of course)! KANSAS BOWLING'S 16MM PREHISTORIC EPIC NOW AVAILABLE ON TROMATIC BLU-RAY! Four years ago I interviewed a teenage girl who wanted to make her own movie. With an amazing knowledge of the Horror genre and a "can do" spirit, young Kansas Bowling did the impossible and shot her first film, B.C. BUTCHER, in 16mm and got it distributed! Congrats Kansas! Now, let's take a closer look at this release! Synopsis: When a tribe of cavewomen imparts cruel justice on one of their own, their fate takes a turn for the worst. After discovering and falling in love with the corpse sacrificed by the girl-gang, a lone wandering giant of pre-historic mythos is inspired to homicide. Consequently the cavewomen are menaced by the heartbroken and bloodthirsty cave-brute with a grudge, and the prophetess among them is ignored when she predicts the tragic outcome. “BC Butcher” is hailed as the first pre-historic slasher film to ever be made. Shot on brilliant 16mm film, the movie features actor Kato Kaelin, a cameo from Rodney Bingenheimer of KROQ Radio, and a performance by Southern California rock group “The Ugly Kids!" Intro by Lloyd Kaufman (president of Troma Entertainment and creator of The Toxic Avenger). Lloyd Kaufman's tell-all interview with director Kansas Bowling. B.C. Butcher goes apesh*t in Hollywood! 2 music videos directed by Kansas Bowling! B.C. BUTCHER is now available wherever discs are sold, and it won't break the bank! You can pick up a copy now at AMAZON or BULLMOOSE. But if you're the type of person that would prefer to preview this film first, you can always watch it HD, exclusively at TROMA! 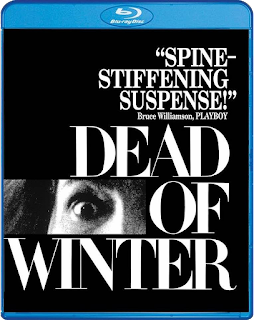 Scream Factory will warm you up in the DEAD OF WINTER! KATIE MCGOVERN WILL DO ANYTHING TO BECOME AN ACTRESS.... 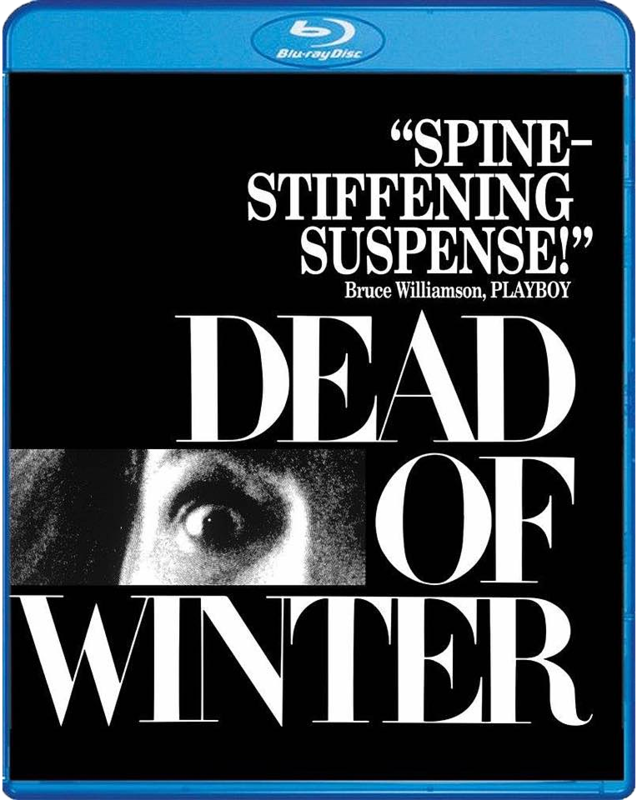 EVEN IF IT KILLS HER, IN SCREAM FACTORY'S NEW "DEAD OF WINTER" BLU-RAY! I've honestly never heard of this classic Horror tale before, so now that it is out on Blu-ray, it's high time I remedy that! 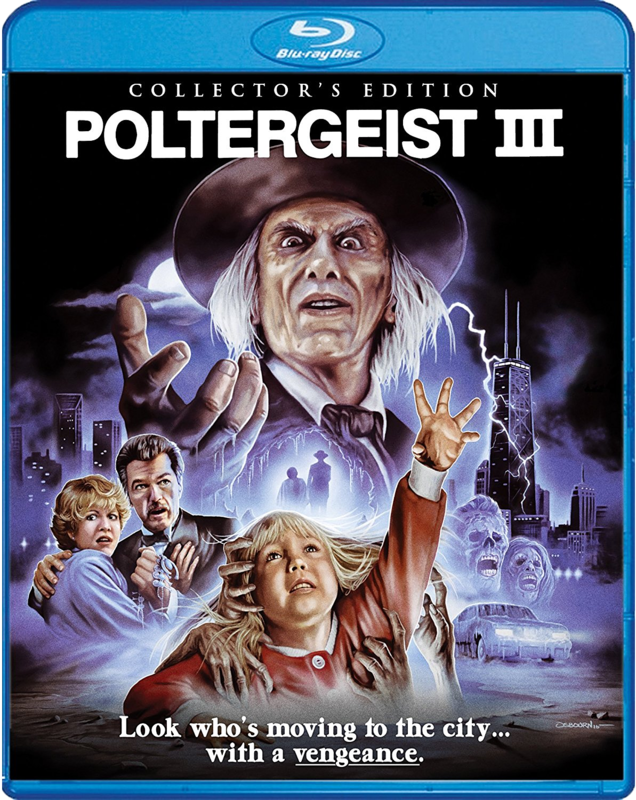 Anything with Roddy McDowall is okay in my book, and I've always had a little crush on Mary Steenburgen, so this is a definite must-own for me! Synopsis: Academy Award winner Mary Steenburgen and Roddy McDowall (FRIGHT NIGHT, PLANET OF THE APES) star in the chilling DEAD OF WINTER! When struggling actress Katie (Steenburgen) is offered the opportunity to replace an actress who has suffered an emotional breakdown during a film shoot, she jumps at the chance for the role of a lifetime. 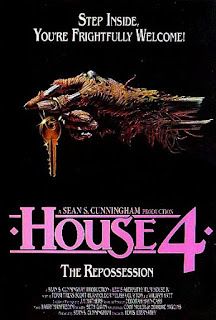 Arriving at the filming location – an isolated mansion in upstate New York – and getting to know her two mysterious benefactors, Dr. Lewis (Jan Rubes, WITNESS), and Mr. Murray (McDowell), she begins to suspect there's more to the story… but she can't quite put her finger on it. As the pieces fall into place and the weather outside turns frightful, Katie's quest for stardom becomes a fight for survival in this twisty thriller from the director of BONNIE AND CLYDE. NEW! Interview With Actress Mary Steenburgen! DEAD OF WINTER is currently available wherever Blu-ray discs are sold! Pick up your copy today from AMAZON, BULLMOOSE, DIABOLIK DVD, or directly from SHOUT! FACTORY!